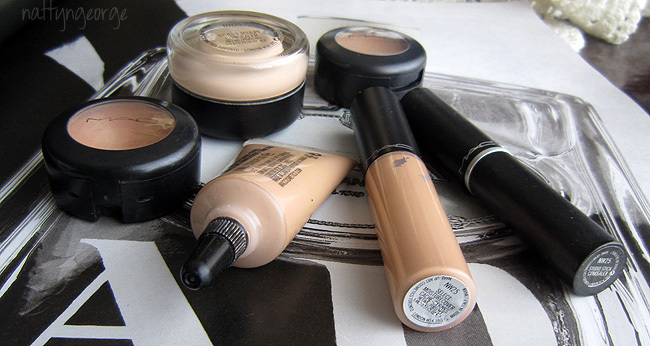 Overview: MAC Concealers! (MAC Studio Finish, MAC Select Cover Up, MAC Moisturecover & Studio Stick) Lots of Swatches! MAC Select Moisturecover Concealer – A luxurious, blendable moisturizing concealer in a tube with a doe-foot applicator. 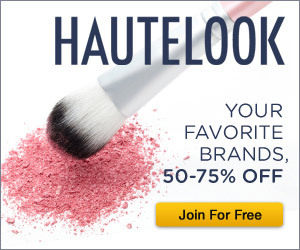 Has a natural satin-smooth, ultra-moisturizing finish. Layers for added coverage. Line-softening, Skin-perfecting. MAC Select Cover-Up Concealer – Liquid camouflage for the skin. Texture-free, virtually invisible. Comes in a tube. Blends in. Brightens and lightens dark areas, erases spots, evens-out skin… Makes skin flaw-free. 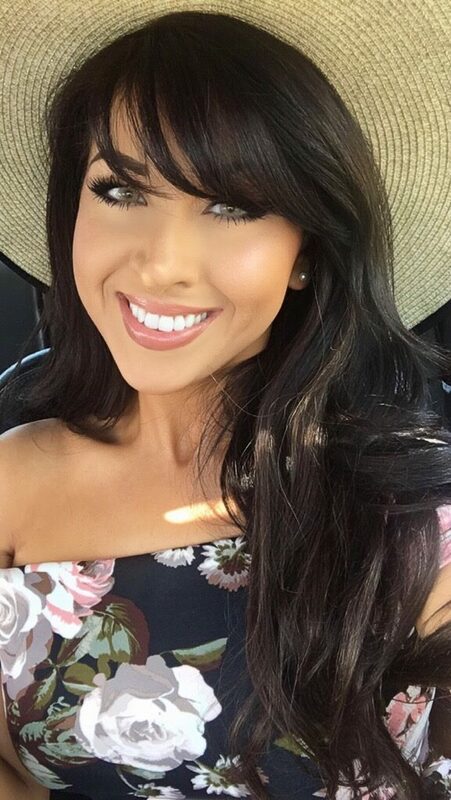 Use pre-foundation, or on its own. Don’t reveal it, conceal it! MAC Studio Finish Concealer – A lightweight, creamy, discreetly opaque concealer. Provides a smooth, long-wearing invisible coverage for all skin blemishes. Water-resistant, fragrance-free and non-acnegenic. This emollient-based, lightweight concealer is so concentrated that a tiny amount can provide opaque coverage of the skin’s imperfections and discolourations. It effectively covers dark circles, blemishes, moles, tattoos and birthmarks. Enriched with antioxidants (derivatives of Vitamin A and Vitamin E), it also contains Silica to help adsorb the skin’s oils. Concealer has an SPF of 35 and is available in a wide range of colours. It can be applied with a medium to firm fiber brush (try the 242 Brush), a latex sponge, or the fingertips. MAC Studio Sculpt Concealer – A creamy concealer that provides full coverage with a natural matte finish. Brushes on with enough blend time to conceal any size of blemish. Rich formulation allows you to use a micro-amount of product to even out skin. Water-resistant and long-wearing. MAC Studio Stick Concealer – Discontinued. MAC Studio Touch-Up Stick – Discontinued. Overview: My favorite concealers from MAC remain to be MAC Select Cover-Up & MAC Studio Finish. MAC Select Cover-Up is your basic liquid concealer that gets the job done. It has a good medium coverage which you can build to almost full, and it conceals blemishes very well. It also lasts me throughout the day and doesn’t seem to cake and settle in my fine lines. I’ve been using this concealer since 2006 and continue to repurchase it every time I’m out! MAC Studio Finish concealer is my favorite full coverage concealer. For a lighter coverage, I use my finger to apply it.. and for fuller coverage.. I like using a concealer brush and patting it under my eyes. I recommend moisturizing your under eyes before applying this so it’s easier to spread. Despite the fact that this is a creme/cake concealer.. it’s not too thick under my eyes and doesn’t feel heavy. It’s quite possibly my favorite concealer of all time. I like MAC Select Moisturecover, but I think the color is terrible and is probably the main reason I don’t use it. I purchased a NW25, because it’s my shade in all MAC concealers.. but in Moisturecover, it’s very dark (darker than my skin) and very orange. I would like to try it in NW20 and see if I like it better. The coverage is a light/medium and has a nice radiant, satin finish. I don’t find it to be long lasting though. MAC Studio Sculpt Concealer is an alright concealer.. The coverage is similar to Studio Finish, but the consistency is completely different. Studio Sculpt is much more creamier. But because of the creaminess.. when I build it to my desired coverage it tends to cake. MAC Studio Stick (discontinued anyway..) is an okay concealer.. I didn’t find it to be anything special. I would compare it to any stick concealer you’d find at your local drugstore. You may be able to still find this at a CCO. From Left to Right: MAC Select Moisturecover Concealer NW25, MAC Select Cover-Up Concealer NW25, MAC Studio Stick Concealer NW25 and MAC Studio Finish Concealer NW25. 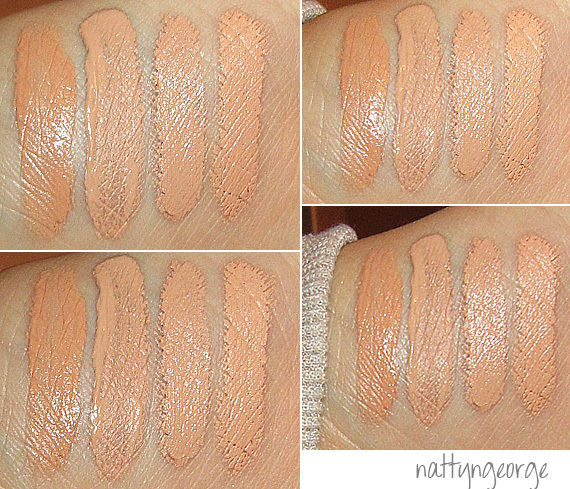 Moisturecover is definitely the darkest and most orange of the four, Select Cover-Up and Studio Stick are almost identical peachy toned and Studio Finish also comes very close to Select Cover-Up and Studio Stick except it’s a touch more yellow. Unfortunately, I misplaced my Studio Sculpt Concealer and is not included in the swatches. I hope you found this post/swatches helpful! This really helped me. Thank you! I've been curious about choosing the right MAC concealer for the longest time. I've heard their concealers are some of the best out there, but they are awfully expensive so I'd want to choose the right one for me. Thanks to you, I feel confident about buying my first MAC concealer!